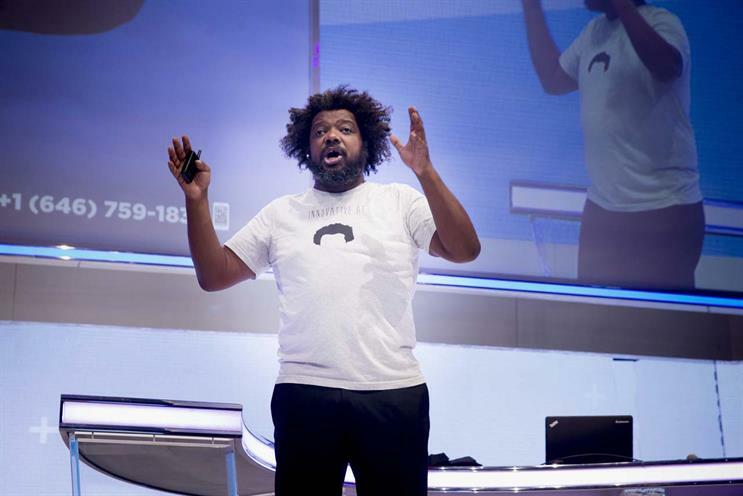 The "mobilisation" of society has had impacts much deeper and more profound than most marketers have so far realised, Mondelez's former chief media and ecommerce officer Bonin Bough told a Dmexco audience. Bough, now a host of entrepreneurship TV show Cleveland Hustles on CNBC, said the disconnect was the result of denial about the ways mobile devices have affected every aspect of our lives. "We’ve become the most distracted society in human history, but we will never admit that we’re distracted," he said. Bough said that in researching his book, Txt me: Your phone has changed your life. Let’s talk about it, he was told stories about people in restaurants "lying to their friends about having to go to the restroom because they wanted to check Instagram or Facebook." He shared evidence suggesting that 80% of people look at their smartphone last thing at night before going to sleep, rather than their partner, while the same proportion of babies have their photo posted online within an hour of being born – meaning a smartphone is one of the first things they ever see. He also referred to phantom vibration syndrome – the sensation that a phone is vibrating in a user’s pocket, when it is not – which he said resulted from the psychological addiction to phone usage, and was very similar to physical sensations experienced by habitual crystal meth users. But mobilisation, and particularly messaging, is also creating big changes in fundamental aspects of our identities, Bough added, because of its impact on family relationships. Social media and GPS-enabled devices were causing two interlinked phenomena, he claimed: the "removal of hierarchy" and the "death of rebellion". On one hand, previously natural hierarchies were disappearing because parents were no longer so able to dictate how their children should behave when there was evidence online that the parents were hypocritical, and had themselves engaged in, for example, taking drugs at a younger age. On the other, the ability of parents to constantly monitor the actions and whereabouts of their offspring mean that teenagers could no longer rebel in the way they have done for generations. And then there was the fact that parents and children now typically stay constantly in touch via messaging, when the child leaves home, which changes the nature of that stage of life. Bough asked: "If this was meant to be the moment in time when you left your parental unit and became the person you were supposed to be, does that moment still exist?" Despite these huge disruptions to the way people live, Bough claimed that brands were barely starting to grapple with how it should shape their marketing. "While this technology has had huge impact from a business perspective, many times we don't think about it from a societal perspective," he said. "Messaging is going to be transformational platform, and the crazy thing for me is that very few brands are communicating with their consumers in this space. There is an entire generation that doesn’t know that email exists – they only know messaging."